Hi. I tried to modify a Comp by Steve (Repeat Images) to test the new Drag/Drop nodes in Vuo 1.2 alpha 0.3 and came up with a bug concerning the list Files Node it seems. Connect Drag Values To List Files Node. Set the List File to search for Images, including Subfolders. 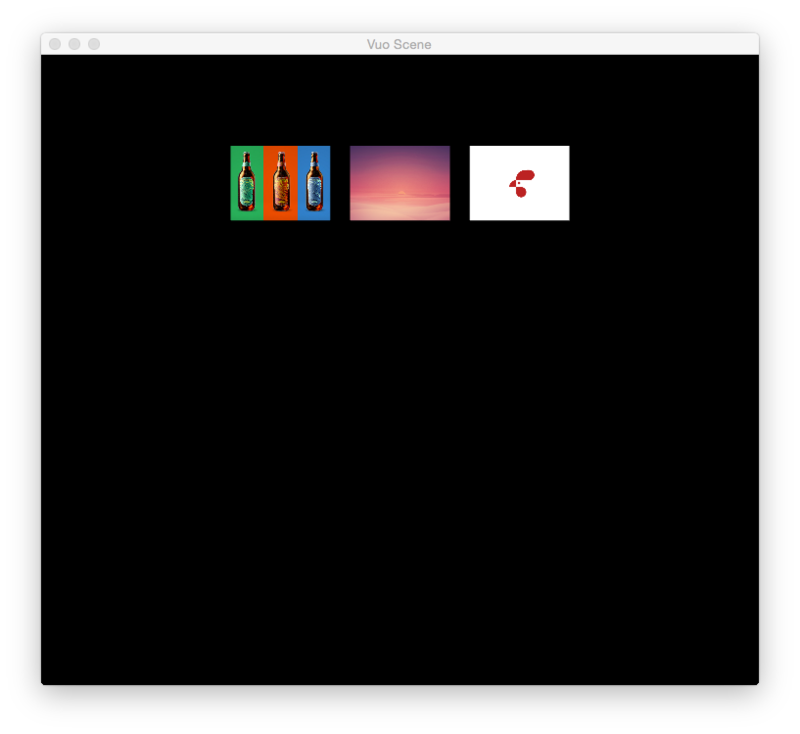 Drag a folder with a few images (less then the places in the Arrange in Grid), a Vuo composition and a weblink f.e. (but no folders or subfolders). Build a list to Arrange these images in a grid. 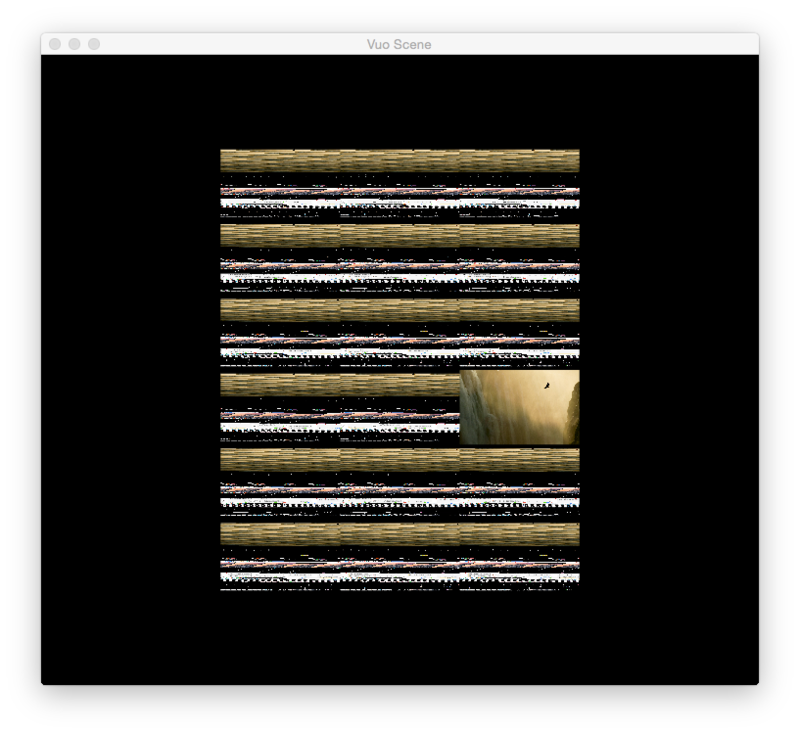 The Composition seems not only to load visible image files, but also kinda show invisible/root/app strange images/stuff and/or glitches (see screenshot attached below). No. But it doesn't always do it. However, the bug doesn't come from the Drag Nodes as pasting the path of that folder instead does reproduce that bug the same way. Or is the bug in relation with the Build List or Arrange in Grid Nodes ? 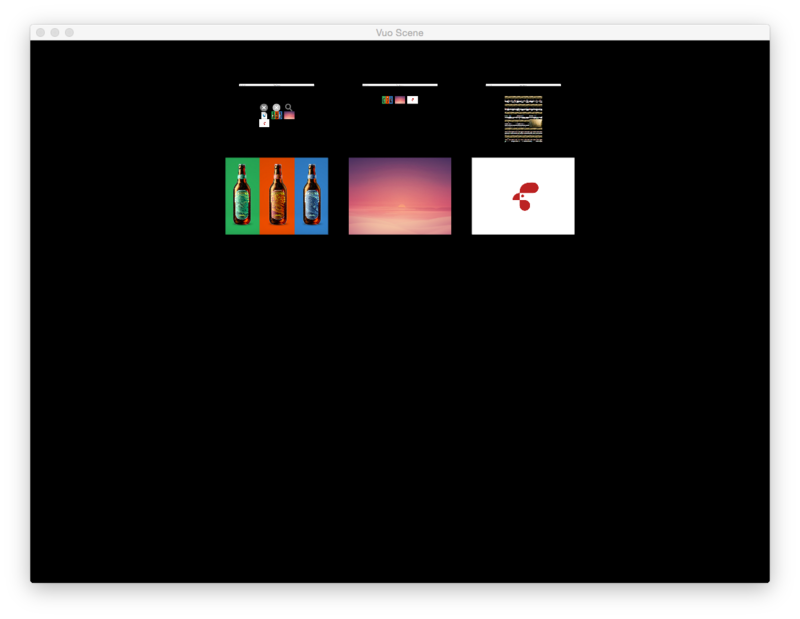 I can reproduce this also when using the "OSX Desktop Images" Folder located in Volume/Library (all those big wallpaper images). 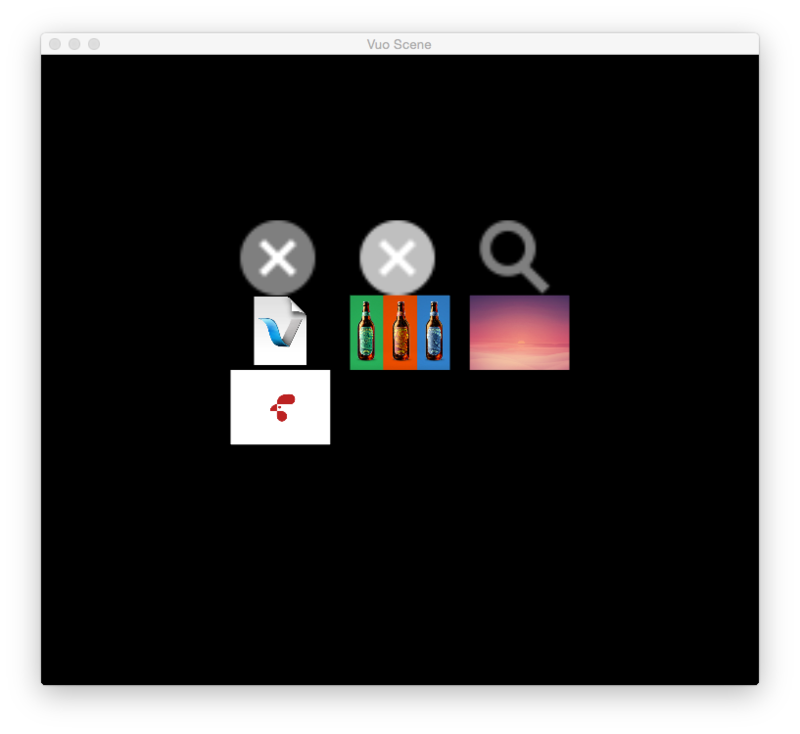 In image A, the first four images (dark X, light X, loupe, and Vuo document icon) come from Vuo Editor. On Mac OS X, apps are actually folders (even though Finder doesn't show them as folders). When you enable "Include Subfolders" in List Files, it will search through the contents of apps, too. So, assuming you had Vuo Editor.app in the folder that you dragged into your composition, that's working like I'd expect. Regarding the glitches in image C — I wonder if that's a GPU driver bug related to running out of VRAM. Which GPU and how much VRAM do you have? (You can find that info under Apple > About This Mac > System Report > Graphics.) The images in the /Library/Desktop Pictures folder are huge — the single "Eagle & Waterfall" image in your screenshot requires 25 MB of VRAM. My Desktop Pictures folder has 150 images in it, which could easily use more than the 1 GB of VRAM my system has. 1 yeah you've seen right. I had the Vuo editor in the download folder as I just downloaded 1.2a0.3 to test it. Ok. I didn't know OS X app bundles where recognized as folders. Odd stuff. Hope in the future a possibility to avoid that will pop up. 63 files. Is 409 MB. Eagle and Waterfall is 1.7 MB (don't know how much VRAM that needs). My MBP has 385 MO of VRAM and the iMac 512. Ive tested on the MPB only. Ok. I guess cropping the amount of files in the list and/or resize the images down before loading them could fix that. I will try to test that when I have time. BTW the Drag/Drop nodes seem to work great ! I didn't know OS X app bundles where recognized as folders. Odd stuff. Hope in the future a possibility to avoid that will pop up. I've made note of that in our task tracker. We changed that in the final Vuo 1.2.0 release; List FIles now treats OS X bundles as a single file (instead of looking inside them). Must type Get Image URL?